Sophia Miller strikes the ball. The senior defender was unanimously named to the All-Big Ten first team on Wednesday. Senior defender Sophia Miller was unanimously selected to the All-Big Ten first team, the conference announced Wednesday. Junior midfielder Puck Pentenga also received first-team recognition, while junior forward Pascale Massey was named to the second team. Miller, who earned first-team honors last year, led a Wildcats back line that allowed only 35 goals in 19 games this season. In her second season anchoring Northwestern’s defense, she spearheaded a unit that has won more games than last year despite incorporating a new goaltender. Miller, who has started 81 of the 84 games she has played in, also added a goal and had nine assists, good for third on the team. Pentenga, NU’s primary offensive playmaker, leads the Big Ten in shots and assists. After a muted 2016, she has 10 goals and a team-leading 17 assists this season, and her 103 shots are nearly double the team’s next-highest mark. Her 10 goals are second on the team, and she earned national player of the week honors in October after a hat trick against Iowa. 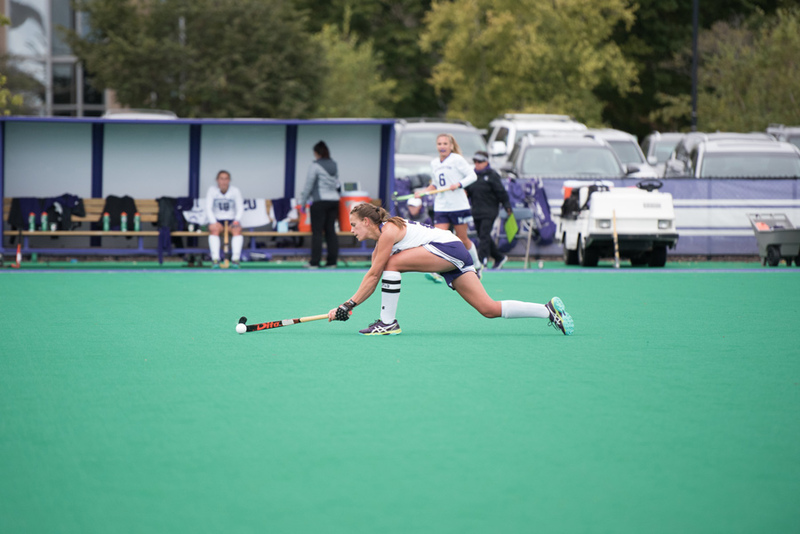 Massey, the Cats’ top returning scorer entering the season, tallied a team-leading 14 goals and added four assists. She had a hat trick against Michigan State in the regular season finale. NU (14-5, 6-2 Big Ten), the No. 4 seed in the Big Ten Tournament, plays top-seeded Michigan (17-2, 8-0) on Friday in the semifinals.